With the weather going from cold to mild to cold again, freeze-thaw cycles are wreaking havoc on local roads and forming potholes. 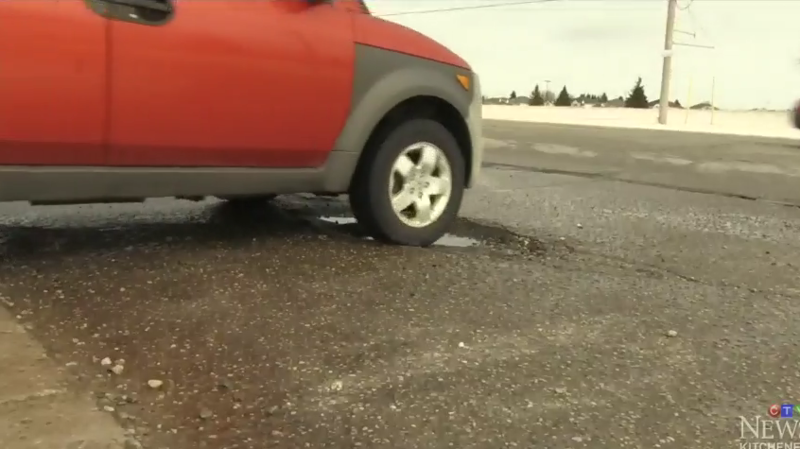 The cost of a car hitting a pothole can be more expensive than initially thought. A service manager at Byma's Tire and Auto says damage can range depending on whether a rim or full tire needs to be replaced. He adds that just because someone doesn’t see any visible damage after hitting a pothole, doesn’t mean there isn’t anything serious. Cormack was an unlucky winner when he lost a front tire on the passenger side after hitting a pothole. Raymond Chan of CAA South Central Ontario explains the full thaw and freeze cycle is what causes problems for drivers. 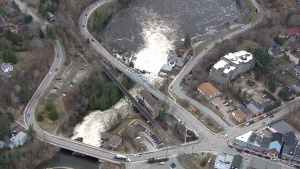 “Once the freeze happens, that water that has crept down below has expanded, and as cars and people and other road users travel on that stretch of road, the asphalt and pavement starts to break apart,” he said. CAA suggests keeping tire pressure at the car’s suggested standard to avoid a flat tire if a pothole is hit, as well as to look ahead while driving. 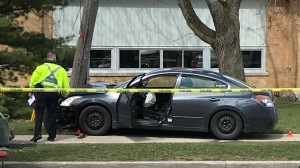 March is both the worst month for potholes with the thaw, as well as the month of CAA’s “Worst Roads” campaign, where they ask for feedback from drivers and pedestrians on the conditions of roads and sidewalks.